Wolves and werewolves have a big part in history, so big in fact that countless wolf-related expressions have been created and used for centuries. These are usually insulting phrases used to describe something with bad intentions, but what can I say, wolves have a bad rep. But I bet that even some of you have said one of these more than once. 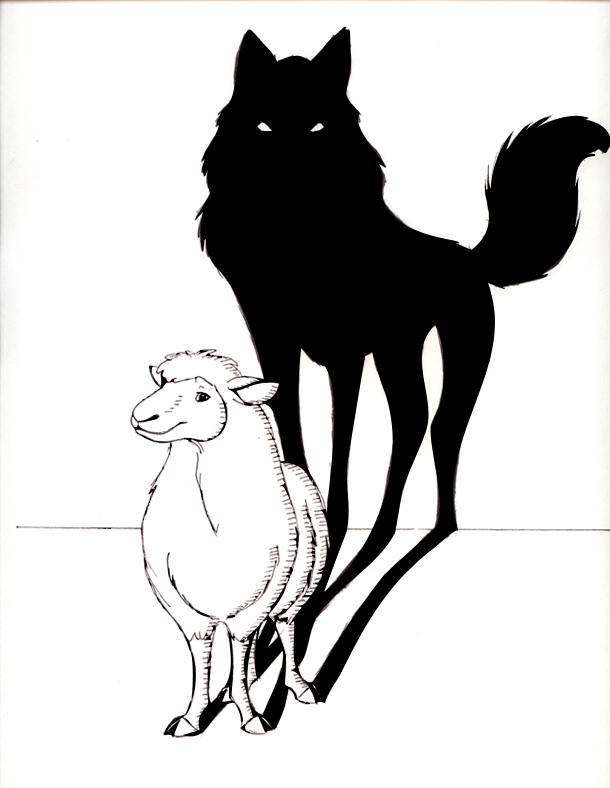 A “wolf in sheep’s clothing” is one of the best known wolf phrases out there. It means someone or something disguising their evil intentions by appearing sweet and innocent. The “wolf at the door” is said when describing someone that is bringing pain, lies and death. To “throw someone to the wolves” is another one that we use all the time. It means to condemn or abandon someone to deal with problems alone. To “wolf down” your food is to eat super fast. To “keep the wolf at bay” is to put off a difficult and bad situation, to keep it away for the time being. A “wolf whistle” is something that’ll piss off most women if you should do it. It’s when a man whistles at a hot woman walking by. It usually consists of two notes, one rising, and the other descending. It’s also called a “cat call.” The term “wolf whistle” implies that the man is animalistic and hungry like a wolf. A “wolf pack” can mean any kind of group of predators. It was also used to translate the German word rudeltaktik (meaning “pack tactic”), which described the Nazi policy of using a group of U-boats to hunt allied shipping convoys in World War 2. To “cry wolf” comes from the old tale of the boy that cried wolf. It means to purposely raise a false alarm.